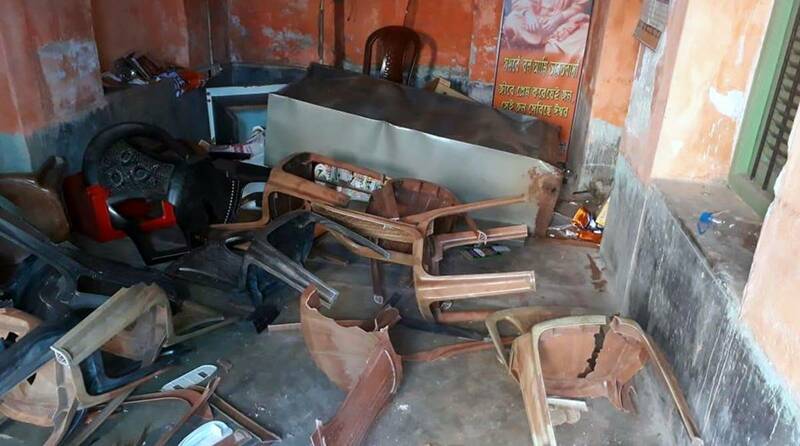 A BJP office in Bhabanipur locality of Kolkata was vandalised on Monday even as West Bengal Chief Minister and Trinamool Congress (TMC) chief Mamata Banerjee continued with her dharna following the CBI-police face-off over chit fund scam cases. The BJP blamed “TMC goons” for the vandalism, and said “law and order has completely collapsed” and “no one is safe under TMC”. The ruling Trinamool denied the allegations. BJP president Dilip Ghosh said TMC men, who were out on a rally protesting against the CBI’s attempt to grill the Kolkata Police chief, pelted the party officer with stones while passing by it. “A scuffle broke out between the members of the two parties, following which the TMC workers overpowered the BJP men and vandalized the party office,” Ghosh said, adding that the party had lodged a police complaint. BJP MP Babul Supriyo tweeted: “TMC goons have vandalised the BJP party office in Bhawanipore, South Kolkata. I strongly condemn this kind of behaviour. SHAME ON TMC. TMC goons have vandalised the BJP party office in Bhawanipore, South Kolkata. I strongly condemn this kind of behaviour. SHAME ON TMC. TMC leaders, however, termed the allegations as “baseless”. “It was the BJP workers who beat up the TMC activists,” said a local leader. On Monday, TMC activists took out protest rallies, blocked highways and railway tracks and burnt effigies of Prime Minister Narendra Modi and BJP president Amit Shah in various parts of the state. 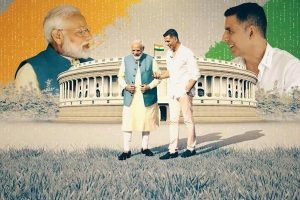 They said they would “continue their fight” till the Narendra Modi government was defeated in the next Lok Sabha polls.